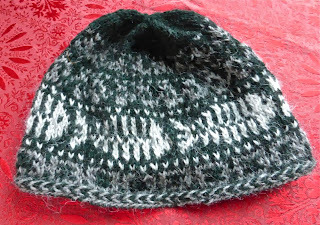 Fishbones hat for the Sergeant, using yarn he brought back from Iceland. 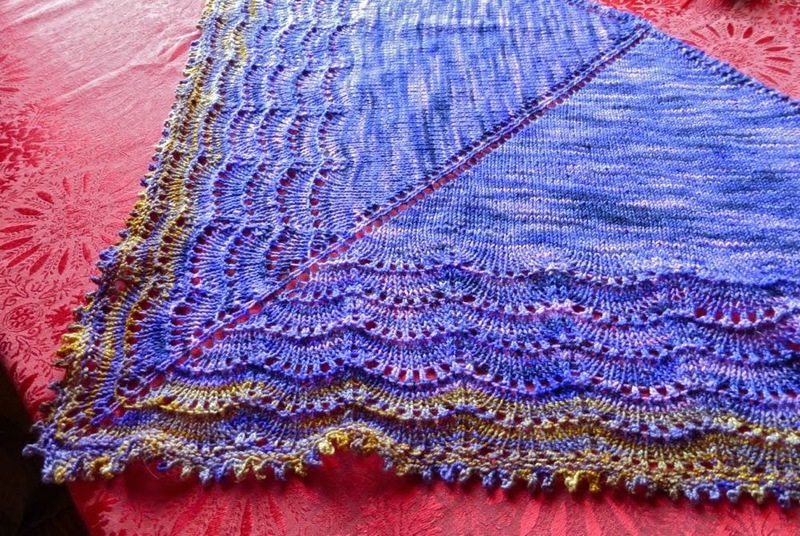 The Holden shawlette, using Kogu yarn. 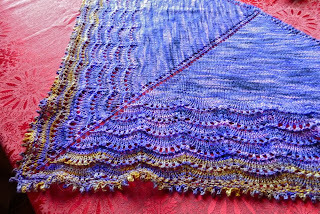 I ran out of the main colorway just four rows from the end, but happily had something similar I could cannibalize from an unfinished sock project, so I just extended the lace rows and made the change look deliberate. 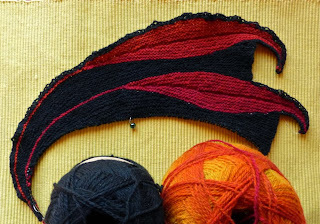 First two feathers of the Dreambird shawl. 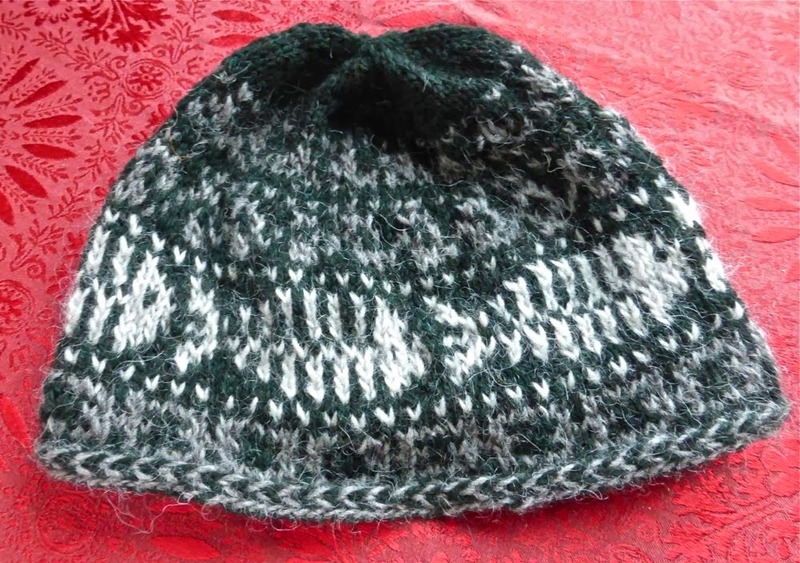 The pattern's confusing at first (it's translated from German), but the chart is straightforward. I like the German short-row technique!